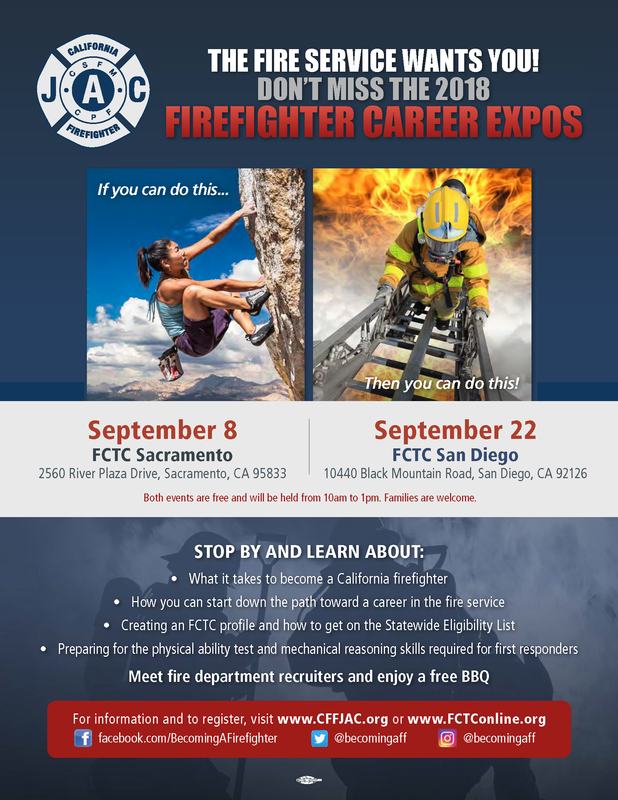 The Fire Service Wants You! Both events are free and will be held from 10am to 1pm. Families are welcome.